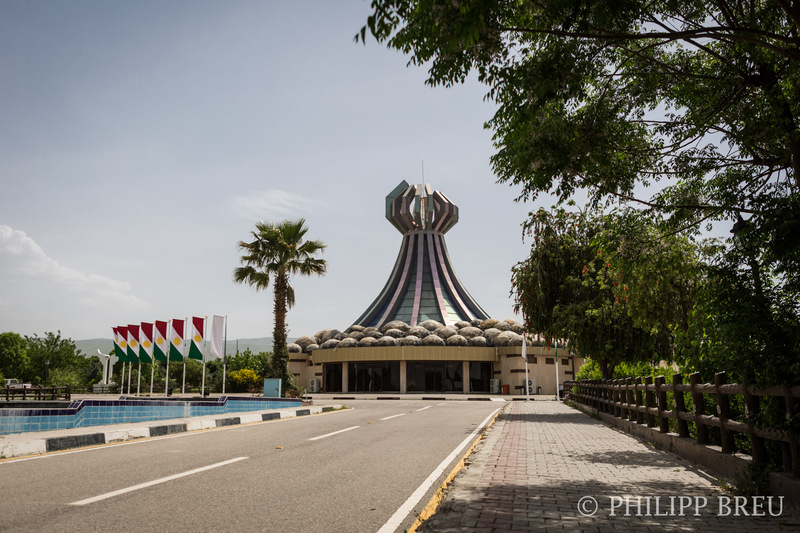 Today I visited the city of Halabja in Kurdistan, Iraq. 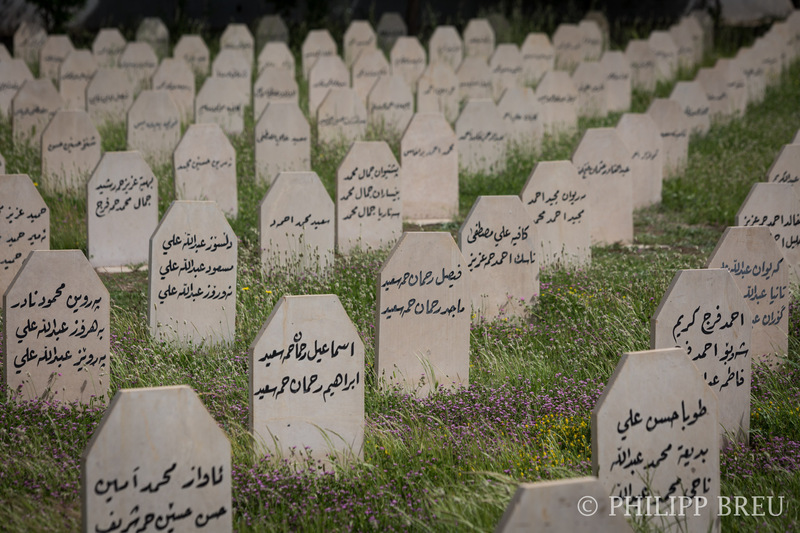 A city that came to unexpected fame on March 16th 1988, when it was heavily gassed with chemical agents by the Iraqi air force. 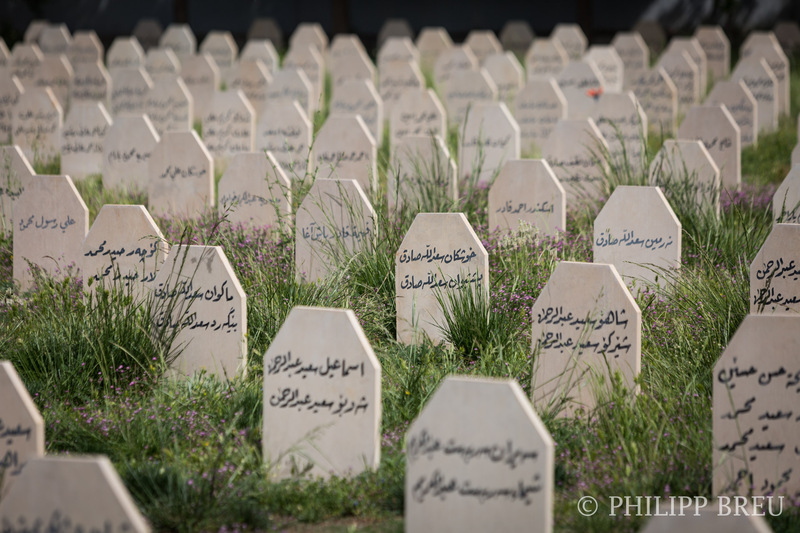 Approximately up to 5000 Kurdish people died in the attack. 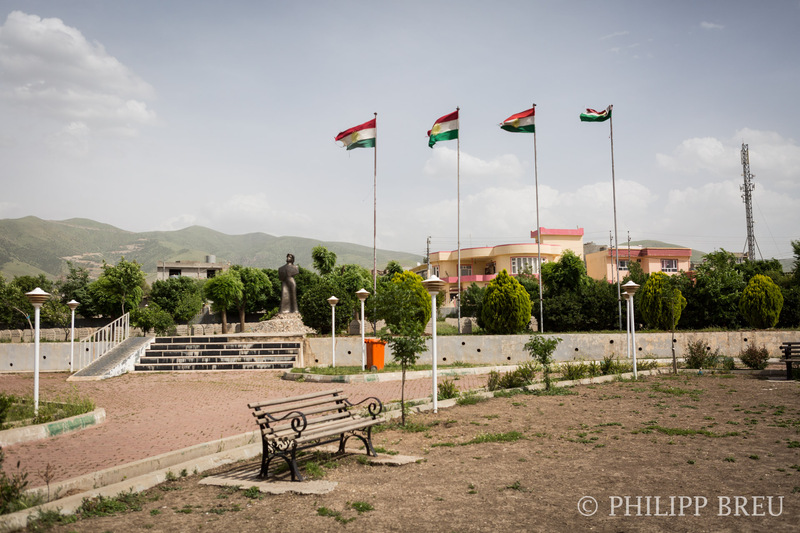 In 2016, the city remains a conservative PUK stronghold merely 10 kilometres away from the border with Iran. I didn’t dare to use my Arabic on the Kurds residing in this small city that can be easily reached from Sulaimaniyyah. Many say this was the turning point for the Kurds living under Saddam Hussein when he ultimately branded the Iraq Kurds as his enemies. 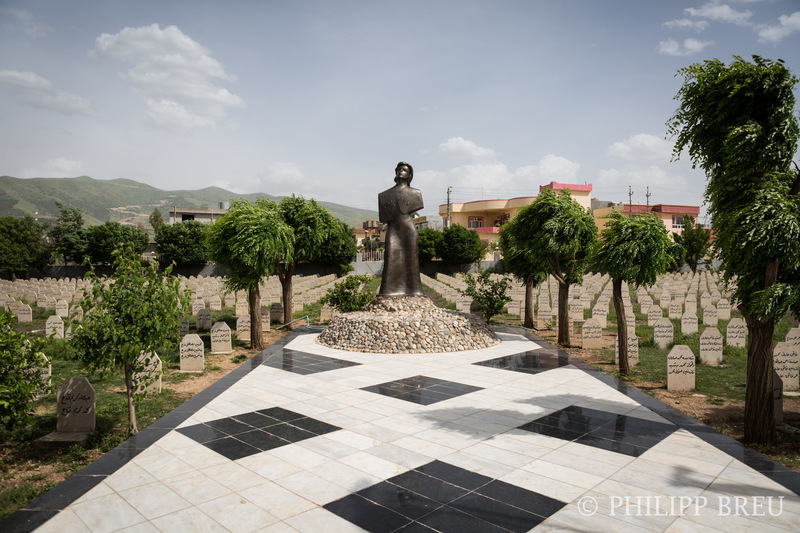 When you enter the city with public transport, the driver will drop you off right at the Halabja memorial. 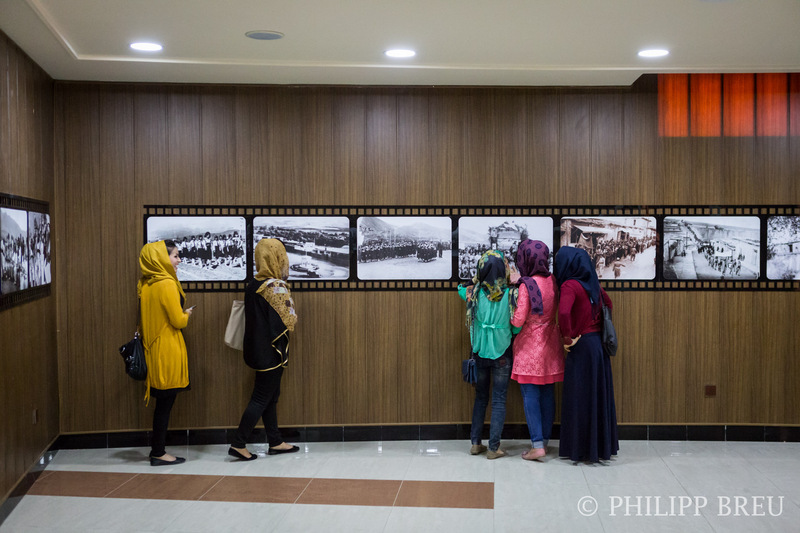 There’s nothing else to see in this city for foreign visitors. The entry is free, but there is almost no English signs to find and of course there are no English guides or even brochures. So prepare yourself with some research before you visit. 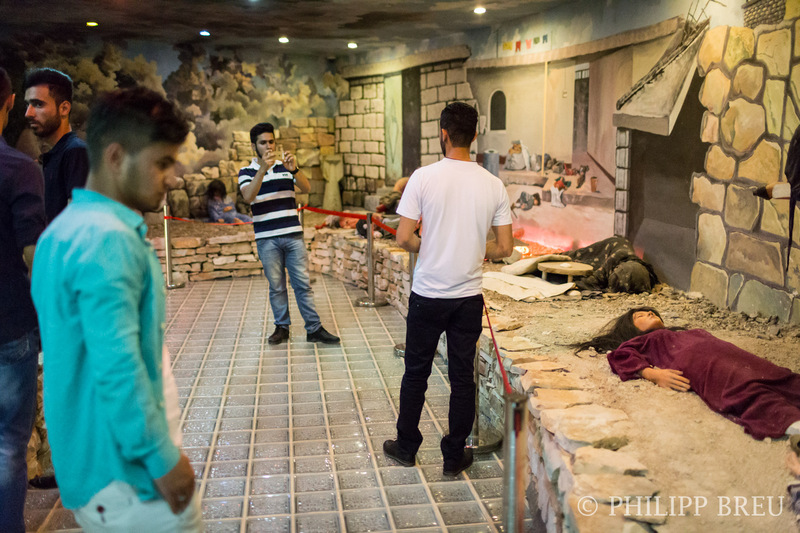 The exhibition starts with an re-enactment of the scenery of Halabja, how it was found by foreign and domestic journalists two days after the attack. 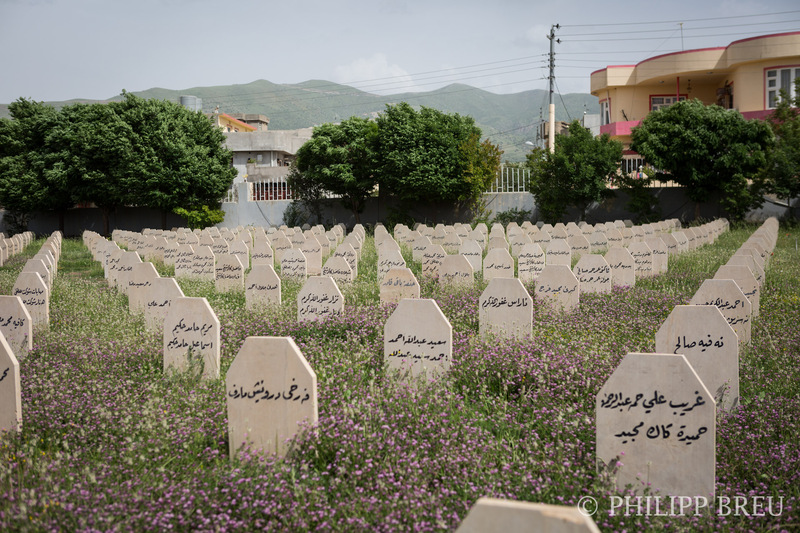 Hundreds of dead bodies of men, women and children were laying in the streets, and nothing was alive in this city any more. It must have been a horrible scenery. 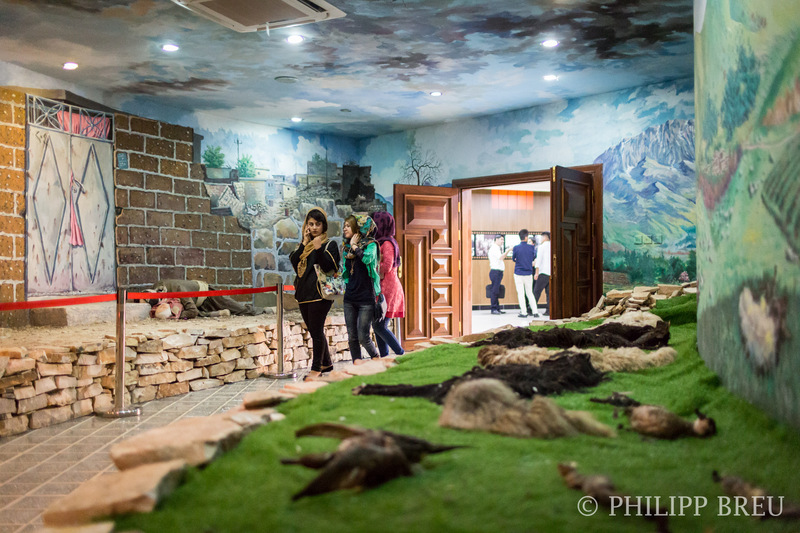 You’ll find both human and animal bodies in the diorama. When the city was gassed, all the animals died as well. In the middle, the names of hundreds of victims are written in gray on black wall, with red, white and green banners in the middle. They represent the Kurdish flag. 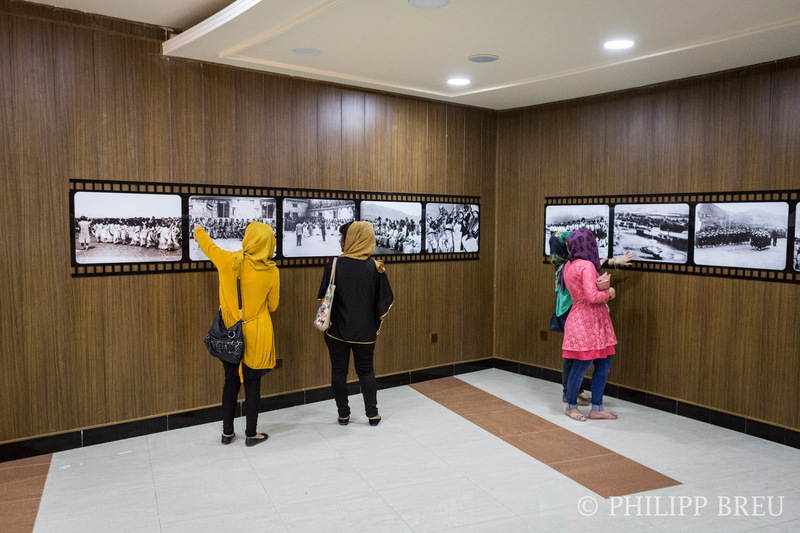 You continue to the left, finding a gallery showing photos of Halabja after the attack. 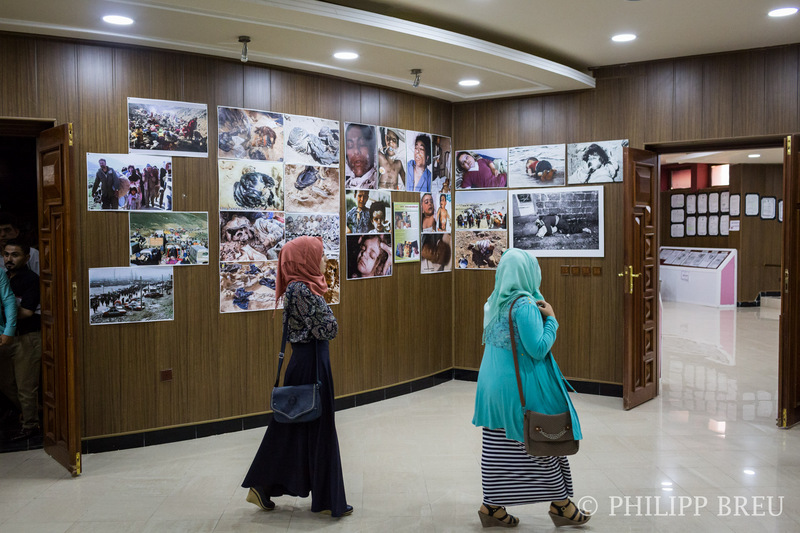 To my surprise, photos from other conflicts and countries were shown alongside the photos from Halabja. For example, you can find the photo of drowned Aylan Kurdi, whose body was washed ashore last year in Turkey. Why someone would put images that don’t belong to the chemical attack at all are shown here despite the fact that there are enough cruel images from the attack itself, is beyond my comprehension. 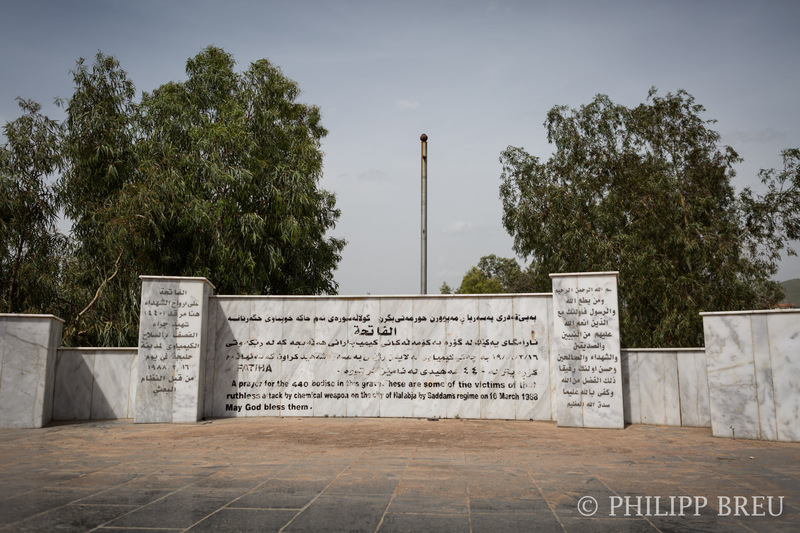 Quite generally, for foreign visitors, the memorial is quite badly equipped, because almost nothing is written in English and there are rarely any signs explaining what you see. It serves its purpose for a prepared visitor, who has all the historical facts at hand already. It also deepens your understanding for what happened to this city which is heavily traumatized until today. 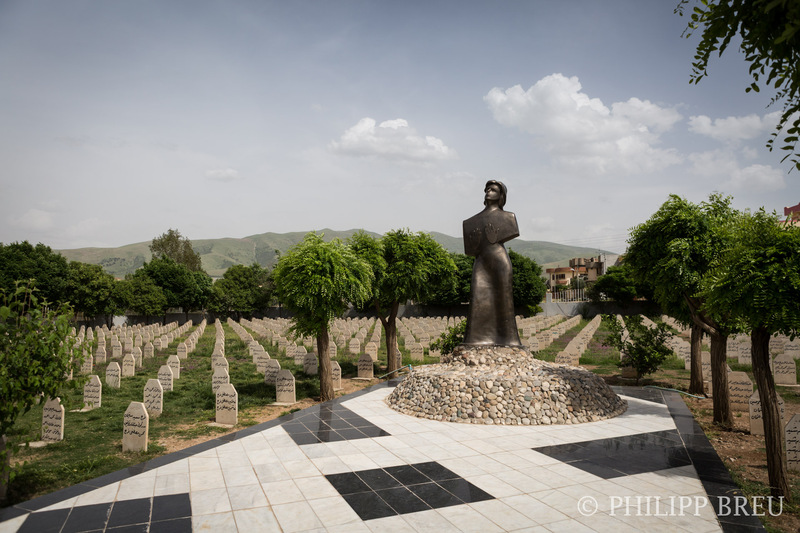 My next stop was the local cemetery which I had seen from images before. 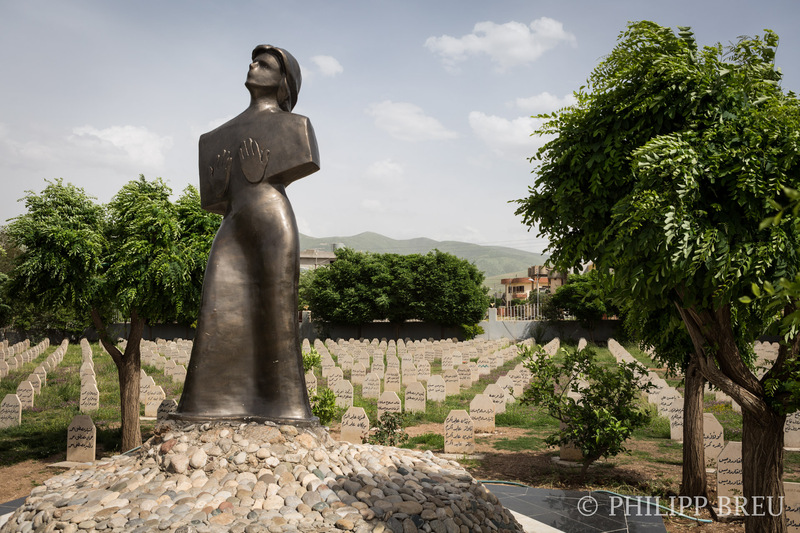 You can easily take a taxi from from the memorial to the cemetery. A sign right at the entrance refusing entry to Ba’ath party members (the party Saddam Hussein belonged to) shows how much this city is traumatized and how strong the emotions still are. 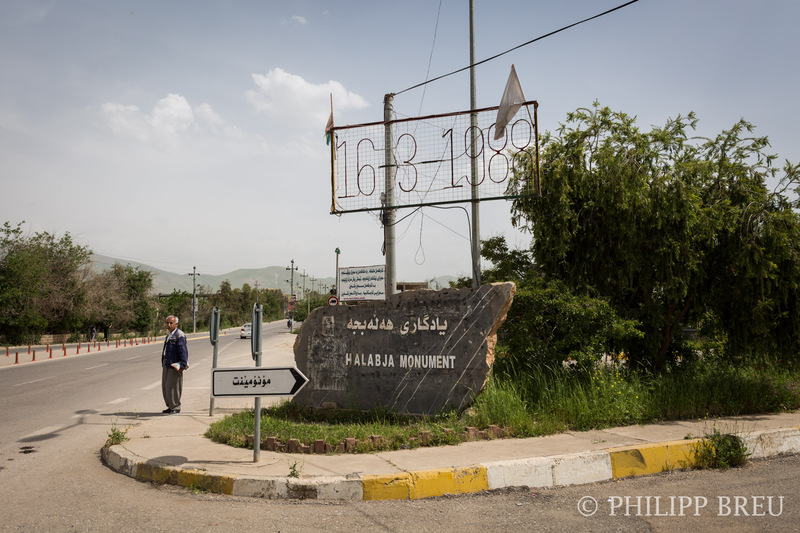 This sign gave me a better idea than the whole memorial itself of how much impact this attack had on the relationship between Iraqi-Arabs and Kurds. 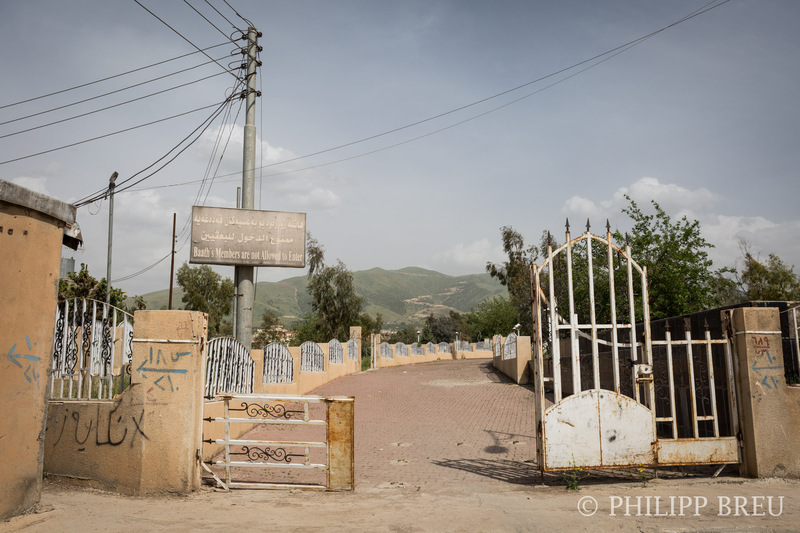 Within the cemetery, a special compound has been erected to bury all the bodies that could be identified. Again, excellent work and accurate descriptions.